I finally got a bloom. 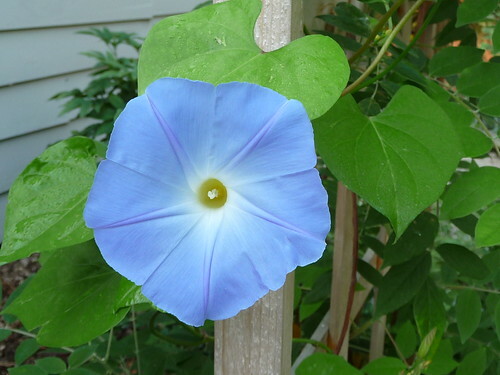 I must have 5 of these planted in various places and only one bloom so far. 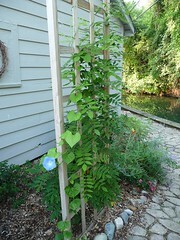 The Wisteria that I planted to climb on the arbor (which I built) is doing very well. I am concerned that it will be too strong for the arbor and break it over time though, but for now I'm happy with it.